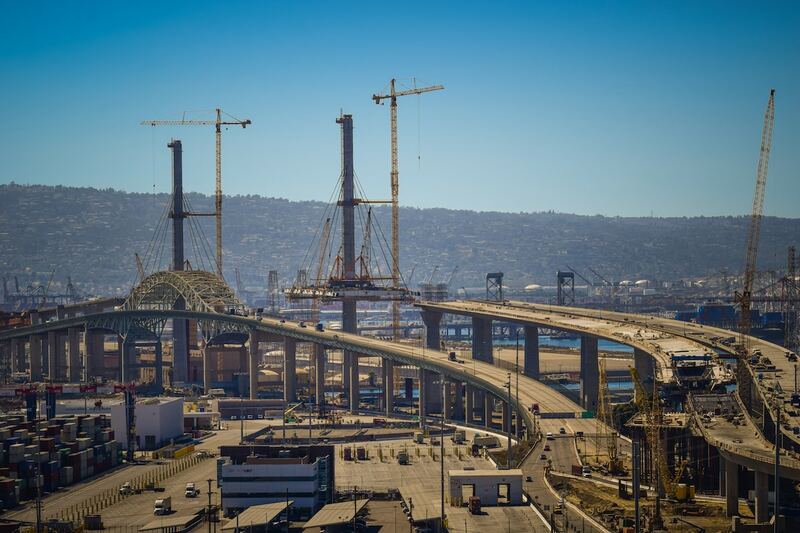 Eastbound drivers from the Gerald Desmond Bridge who are headed to either the 710 Freeway or Downtown Long Beach will soon have to share just one off-ramp due to construction of the new bridge. Starting this weekend, motorists heading north to the 710 should remain in the left lane of the Pico Avenue off-ramp, while motorists heading to Downtown should stay in the right lane. Motorists are advised to allow additional time to travel. Traffic signals and designated turning lanes are being adjusted to help maintain vehicle flow in this area, officials said. The new bridge is forecast to open in late 2019. It will include six traffic lanes and four emergency shoulders, a higher clearance to accommodate large cargo ships, a bike and pedestrian path with scenic overlooks and more efficient transition ramps and connectors to improve traffic flow, officials said in a statement. The bridge project, expected to cost $1.47 billion, is a joint effort of Caltrans and the Port of Long Beach, with additional funding support from the U.S. Department of Transportation and Metro.